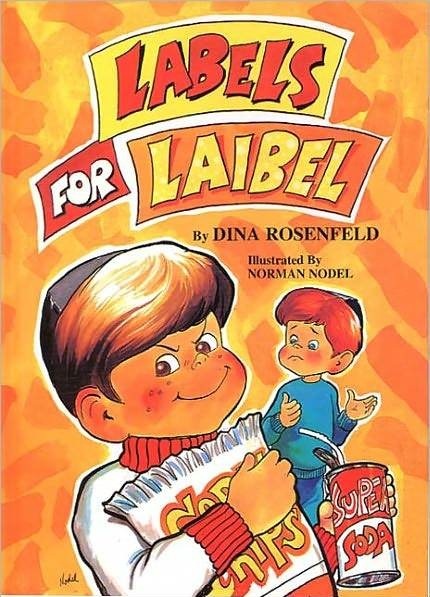 Expert Review of Labels for Laibel by Dina Rosenfeld, one of our picks of the top Jewish books for kids! Laibel doesn't like to share with his little brother, so he devises a clever plan to put an end to it. But someone soon outsmarts Laibel, helping him to discover why sharing is more important than he thought. Written in catchy rhyme, with vivid illustrations. Sharing is a value that all parents, want their children to learn, here's a book that achieves that outcome. Goldy Says: "I read this like 1,000,000 times!"